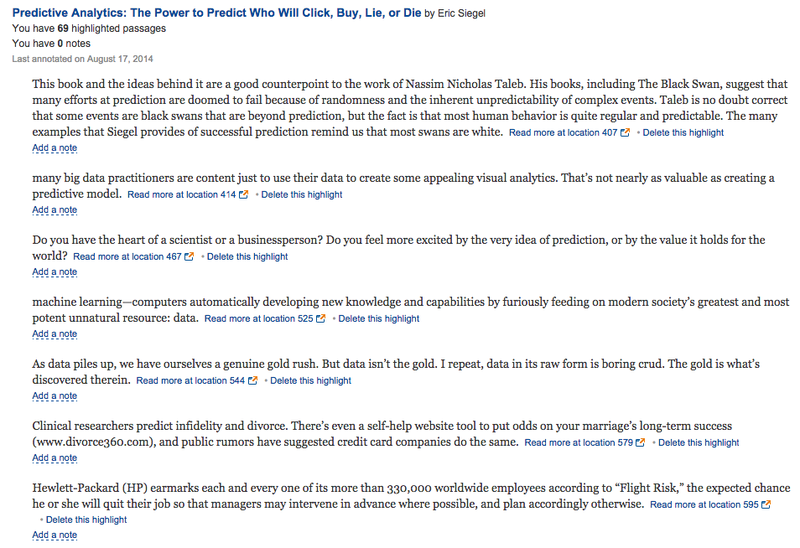 How Opinionated are your Tools? Organizations must intentionally determine how opinionated their collaboration tools (business systems) should be, to align with their culture and business model. Opinionated tools align well with top-down organizational cultures, while non-opinionated tools align well with decentralized, self-organizing cultures. Top-down organizations struggle to scale effectively, creating bottlenecks and issues when decisions constantly require senior leader approvals. People talk about how our world is more volatile and faster moving (see Half of S&P 500 Companies will be Replaced in next 10 years), and that companies need to be more Agile. Agility is hard when you need 3 approval signatures to make any changes. Self-organized teams struggle to stay coordinated, as each team can “wander off” from any centralized approach to things like enterprise priorities, technology architecture, processes. They struggle to stay aligned with each other, which is why we see so many Scaled Agile frameworks (see icon mosaic to the right) trying to figure out how to keep self-organizing teams aligned with each other. Self-organizing teams also struggle to stay aligned across an organization related to things like Enterprise Architecture (consistent technologies) and Business Architecture (consistent processes). Organizations need to find the right balance between these two extremes for their entire organizational culture, and how they select, configure, and maintain tools to align with this approach. The figure below shows the spectrum I envision, where a company moves the triangle to find the spot they want their organization to be, and then aligns tools with that spot on the spectrum. Technologies can come out of the box very opinionated (think about a tool like the TurboTax wizard interface, that walks users through a workflow it decides without asking how you want to use the tool) or it can be very flexible (think about Microsoft Word — you can write your letter first, and then format it; or you can setup the page size, orientation, and header before you write your letter). Technologies can also be configured to be very opinionated — JIRA as an example is an issue/ticket tracking system that has a variety of Agile planning/management capabilities. Out of the box, the tool comes with a few standard ticket types and workflows, but you could let each team in your organization configure their own ticket types, workflows; leaving all the permissions wide open for the organization. However, most organizations make JIRA “more opinionated” before they deploy it, only letting a few select leaders/administrators make changes to the system. On the opinionated this spectrum, I see organizations selecting and configuring tools with a heavy focus on ensuring employees use a tool exactly the way the organization’s senior leaders want them to be used (highly opinionated). Allan Kelly recently write a great post about how dangerous this power centralization can become for organizations. On the non-opinionated side, organizations struggle to stay cohesive. They can become organizations of individual teams or almost a group of consultants who are trying to accomplish things; but can’t leverage the scale of their organization to accomplish great things. This can devolve into anarchy, where teams don’t help each other. Think about a team who can’t share talent with other teams, because they’re using different processes or technologies. Or a leader who isn’t able to report on progress because each of her teams is using their project tracking tool completely differently. Organizations, and the Office of the CIO organizations that should be enabling them, need find the balance, like a train station where the rules of engagement are clear (Where do I get a ticket? Where do I get on the train? Where do I get food? ), but different people can get to their trains in different ways. Organizations don’t have to be the wild west with teams doing whatever they want (think about a SharePoint site with no governance where you can’t find anything) and organizations don’t need to be top-down culture where no work gets done because everyone has given up on requesting approvals and resigns themselves to the slow-moving status-quo. architecture tips and recommendations with some local current and future entrepreneurs at The Capitol Post in Old Town Alexandria. Capitol Post is a great organization focused on inspiring Veteran entrepreneurs to find professional clarity and scale those visions. They offer several great things, including a cool co-working space right in North Old Town Alexandria, classes, and a startup accelerator program. We talked about how IT for non-technical entrepreneurs can be like personal finance for non-financial people — it’s very important, but it’s hard to motivate yourself to invest the time you need to understand it, make some solid plans, automate it, and then move on to creating value. It’s been a year since I last taught at Capitol Post (https://mikehking.com/2015/09/11/talking-technology-bunker-labs/), and it’s great to see how much they’ve grown (the office is beautiful and their getting ready for their next cohort to go through the Bunker Labs DC accelerator. 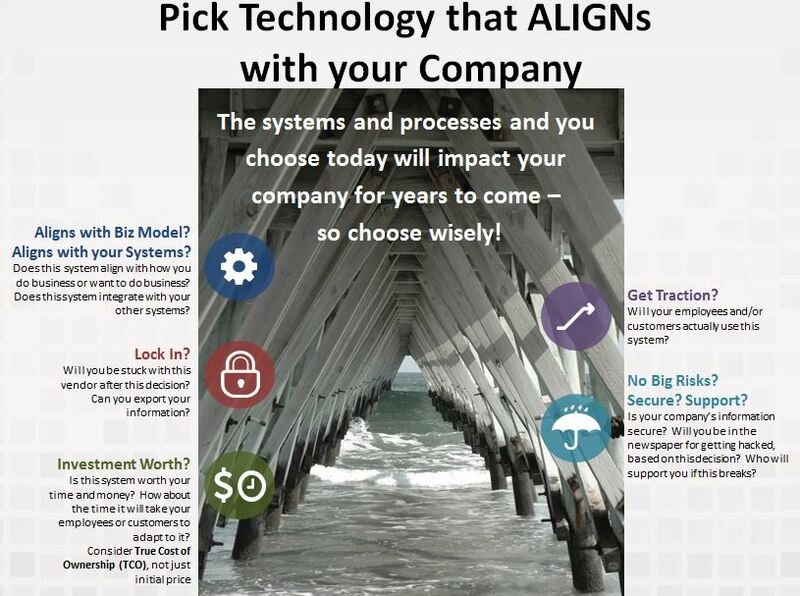 Alignment: Does this system align with your business model (how you do business) and your current infrastructure? Lock In: Would this system lock you (Vendor lock-in) into this vendor or system long-term? Could you export your data and move to another system as you grow? Investment-worthy: Is this system worth the investment of money and time (your time, your employees’ time, your customers’ time? Get Traction: Would this system get traction with your employees and/or customers? Does it align with how you do business, or would you spend your time forcing people to use it? Shameless plug: If you’re interested in learning more about setting up the technology for your company, or future startup, check out this free class I’m teaching next week (Thursday, Sept 10, 2015), sponsored by Capitol Post, in Old Town Alexandria: Technology 101 for Entrepreneurs (How to Choose to the Best Systems for your Business). How does a CTO Spend Time? 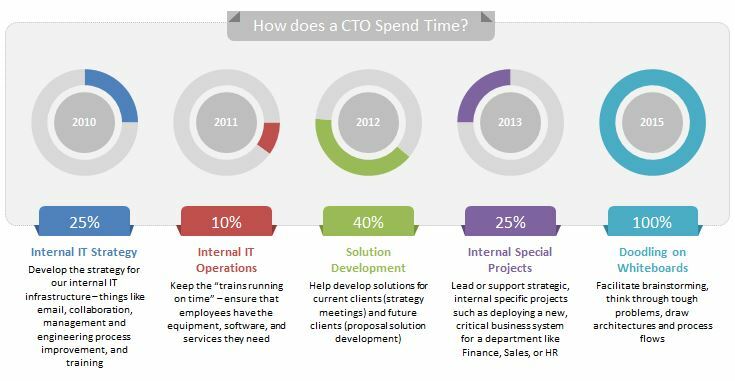 I’ve recently realized that I’ve been drawing a similar pie graph several times recently, explaining how I spend my time as a Chief Technology Officer (CTO) at a small business. I thought I’d share for those interested in how I spend my time juggling the demands of CTO across various company priorities. If you’re interested in learning more about small business CTO activities, including technology strategy when you’re too small to have a dedicated CTO, check out this free, upcoming training in Old Town Alexandria, sponsored by Capitol Post, that I’m teaching next month (Sept 2015): Technology 101 for Entrepreneurs (How to Choose to the Best Systems for your Business). Some of you may already realize this, but it’s incredible. The ability to be able to go back and review everything that resonated with you when you read it is incredible. Sure, if you underline or highlight tangible, real-paper books; you could go through your old books on the shelves — but no one ever does. While I don’t use this feature as much as I’d like to, I love the ability to scroll through and see what struck me in a book I was reading recently or years ago.